Personal Note From Val: It’s not every day I get to chat with a fellow animal lover like Joey Camen. He’s shared the stage with Robin Williams, Richard Pryor, Jay Leno, Jim Carrey, David Letterman, Rosanne Barr and many more. Voice over actor, standup comic and first time author, Joey Camen’s story about how his Sheltie-mix dog Snoopy changed his life made me laugh and cry. When he was only 10 years old, he experienced a horrible incident that made him distrust and dislike dogs. Then his Hollywood friends love of their dogs started to intrigue him, and then he connected with Snoopy who melted his heart. You’ll love his impression of Arnold Schwarzenegger, hysterically funny! Then, get some Kleenex and be sure to listen to the end where he reads his poem for Snoopy… You’ll be glad you did. Enjoy! Joey Camen is a veteran stand-up comedian, voice talent, actor, and award-winning short filmmaker. He has performed professionally since the age of seventeen in everything from movies, to sitcoms, to Las Vegas showrooms. He was a protégé of legendary voice actor Daws Butler—better known as the voices of Yogi Bear and Huckleberry Hound. Joey has provided voices for numerous cartoon shows, commercials, movies and video games. As a voice-over actor Joey has worked on numerous projects, including popular video games like Skylanders: Giants, Transformers: Dark of the Moon, and Mafia II. 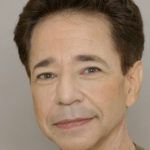 As a stand-up comic, he has headlined at top comedy venues in Las Vegas and in comedy clubs across the country with Richard Pryor, Robin Williams, Jay Leno, David Letterman and many many others. My Life with Snoopy is his book writing debut. My Life with Snoopy is an exciting, tail wagging story about the relationship between Snoopy the shelter dog, and his human friend, comedian Joey Camen. Comedy and calamity ensue with various dogs, cats, and colorful characters you’ll meet throughout Snoopy and Joey’s thirteen year friendship. Snoopy, the best-looking Sheltie-mix ever to come out of the Burbank Animal Shelter redeems Joey’s distrust of dogs from a boyhood incident in Detroit and brings immense joy to his life. Animal lovers will laugh and shed a few tears, as they enjoy this unique and entertaining perspective on the dog-human connection. Is there a message in this book for your readers or is it just meant to entertain? 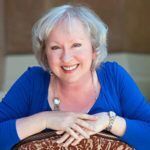 What would you like readers to know about how important it was for you to write your book? Do you have advice for aspiring writers/authors? Remember: No matter how hurt or wounded one is in life, the love of a shelter dog can help you take that unconditional love and carry it into relationships on two feet! To learn more about Joey and the work he is doing you can contact him on his book’s website at www.mylifewithsnoopy.com . 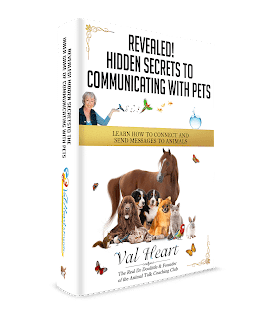 Ready to learn how to communicate to your animals?